» Goose vs. Duck Down – What’s the Difference? Goose vs. Duck Down – What’s the Difference? Down is commonly used in outdoor gear, specifically amazing jackets and sleeping bags. While some manufacturers use goose down, others use duck down, sparking the question: what’s the difference? In this article, we’ll start by explaining what down is, then we’ll go into the main differences between goose and duck down. We’ll also talk about synthetic and hybrid insulation, and give you a few helpful tips for shopping for insulated outdoor gear. Lastly, we’ll give you our final thoughts on which products are right for you and your purposes. How Does Food Supply and Demand Affect Down? What is a Down-Synthetic Blend? 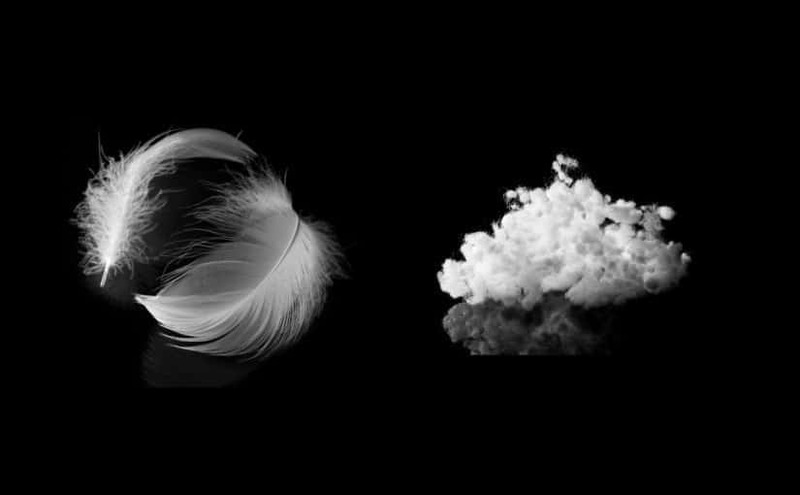 While most people assume that down is made from a bird’s feathers, this isn’t true. Down is what’s found underneath a bird’s outer, tougher contour feathers, and it can be in either small or large clumps. Down is made of filaments that are soft, fluffy and wispy. In one ounce of down, approximately two million filamentscrisscross each other in every direction. This creates air pockets that trap body heat, keeping the bird warm. 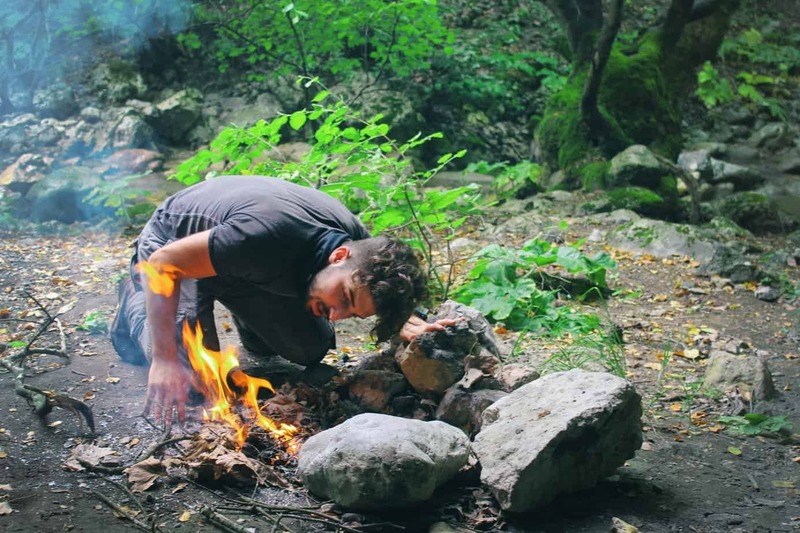 Down is also breathable, easily compressed, durable and light, making it an excellent product to use in outdoor gear – when engaging in outdoor activities and sports, you can’t get overheated, portability is highly important and you want your gear to stand up to the elements and the strain you put on them. Down is harvested from birds when they’re used for food, making it a byproduct of the meat industry. Down tends to come from China, where goose and duck are common ingredients in food. The supply and demand for down doesn’t necessarily change with the supply and demand for geese or duck for food purposes, which can impact the price of down. For example, if the demand for geese for food purposes was to decline while the demand for goose down remained the same, the price for goose down would go up because there would be a more limited supply. Demand may go down if there’s a bird flu epidemic, for example. When something like this happens, manufacturers of outdoor gear seek out less costly down alternatives, such as synthetic down. Duck down is also less costly than goose down because duck is eaten more worldwide than goose, and since down is a byproduct of the meat industry, higher consumption of duck means higher supply of duck down. In essence, both goose and duck down insulate the same amount – this is because both types of down have the same type of insulating structure. Both types of down also maintain their loft (the fullness of the down item) and warmth for several years, so long as they’re cared for the right way. It’s also important to note that both goose and duck down undergo the same testingand have to adhere to the same performance standards. Whichever type of down you choose, you’ll be getting a tried-and-tested, high quality product. That said, there are some slight variations that may make a difference to you. Let’s get into those. This is where you’ll find the greatest difference between goose and duck down, though as we said, you may not actually notice this difference when using your outdoor gear. Fill power is related to loft and it measures how puffy (and, in turn, warm) the down is. Technically, fill power measures the number of cubic inches that are occupied per ounce of down. A 500 fill power, for example, means that one ounce of down will fill 500 cubic inches of space. This laboratory measurement compares two important ratios: warmth to compressibility and warmth to weight. The higher the fill power, the better these ratios will be for your product. The higher the fill power, the better, and in order to achieve a high fill power (which is 750 and higher), you need larger plumules, which are the wispy bits of down you may have noticed popping out of your comforter at home. Larger plumules mean higher fill power, which translates to more loft and warmth. Since geese are larger animals than ducks, they have larger plumules. Down products of the highest quality are likely going to be made from goose down, and since geese have larger plumules and there’s a higher demand for them since supply is smaller than ducks, the price is going to be higher. However, it’s important to note that there are technologies that can make duck down just as effective as goose down. Processors can sort through duck down clusters of all different sizes and then weave them together in order to create a fill power equal to that of goose down. For manufacturers that use this type of technology, their duck down products will be exactly the same as goose down products. There’s also a small difference in odor between goose and duck down. Ducks are lower to the ground than geese. A duck’s chest and stomach will make contact with the ground, and these are the parts of the body where down comes from. Since this part of their body is in greater contact with the ground, it picks up a stronger odor than geese do. During the cleaning and treatment process of down, most of this odor is removed, but people with an especially keen sense of smell may be able to notice it. In that case, goose down may be preferred. For the average person, though, the small change in odor won’t even be noticeable. For years, goose down was considered the standardfor insulated outdoor gear. Since there’s a higher supply of duck down today, though, and it’s at a lower price point, it’s quickly gaining popularity. Some traditionalists still veer toward goose down simply based on history and what they’re used to, as they assume goose down, since it’s been used for longer, is greatly superior to duck down. Since goose down dominated the market for long, it can be hard for longtime outdoor enthusiasts to make the switch. Since goose down has a higher fill power, it also produces more warmth. However, depending on the conditions you’re typically outdoors in, the extra warmth you get from goose down may not even be needed, which would mean you wouldn’t notice the difference between goose and duck down. If warmth is a major consideration, though – like if you go ice climbing every year – you’ll probably want to squeeze out as much insulation as possible from your jacket and sleeping bag, which could make you lean toward goose down products. The higher the fill power, the lighter the product. For example, if one sleeping bag has 800 fill power and another sleeping bag has 700 fill power, the 800 fill power sleeping bag will feel lighter (if all other factors are the same, like fabric, zippers and other features). 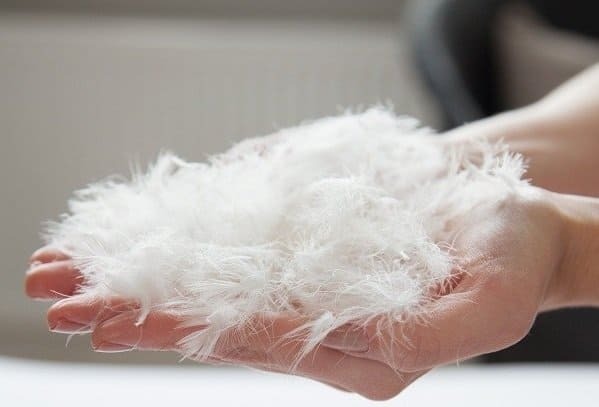 Since goose down has a higher fill power, you may find that goose down products are lighter than duck down products, especially as you go up in quality. If you’re going on a trip or engaging in an activity where every single ounce matters, this could be a determining factor in the type of down you choose. For some outdoor gear shoppers, choosing between goose vs. duck down isn’t the real question – choosing between down and synthetic insulation is. Synthetic insulation is usually made from polyester instead of down. Knowing what you’ll be using the jacket or sleeping bag for will help you figure out what type of insulation you need. Down isn’t hypoallergenic, and although this isn’t a common problem, if you or someone you’re traveling with has a down allergy, it could cause a problem. Synthetic insulation is hypoallergenic. Down can be difficult to clean, requiring long drying times and clumping insulation as it dries. You can have down professionally cleaned, but it’s costly. In general, down products cost more than synthetic insulation products. Down is an excellent insulation option if you’re in a cold, dry setting. However, one major criticism of down is that it can clump up and lose its loft if it gets wet, which can cause it to lose its ability to insulate effectively. Technologies are used, though, to treat down in order to make it water-resistant (which doesn’t mean waterproof). If you submerge water-resistant down in water or expose it to heavy rainfall, though, you could still ruin the insulation. For the most part, down products should be kept dry. Synthetic insulation, on the other hand, is water-resistant and dries quickly, and it’s able to insulate even when it’s wet. Down has a better warmth-to-weight ratio than synthetic insulation. It’s also more compressible than synthetic insulation, and with the right care, down products can last for years or even decades. Synthetic insulation tends to be bulkier and heavier than down products, and every time a synthetic insulation sleeping bag is stuffed into a stuff sack, it loses a little bit of its insulating power. It’s important to note, though, that synthetic insulation is still considered durable, even if it’s not as durable or long-lasting as down. A down-synthetic blend insulation is a combination of down and synthetic insulation, often used to create water-resistant products. The manufacturer’s intent is to give the customer the benefits of both products with minimal drawbacks. Sometimes, both types of insulation are blended together through the entire product, while others times different types of insulation are used in different parts of the product. For example, a sleeping bag may have synthetic insulation on the bottom and down on top, maximizing durability, comfort and warmth. Bulkier and heavier than full-down products. Less costly than full-down products, but more costly than 100% synthetic products. Lighter in weight and more compressible than synthetic insulation. More water-resistant than down, but less water-resistant than 100% synthetic products. 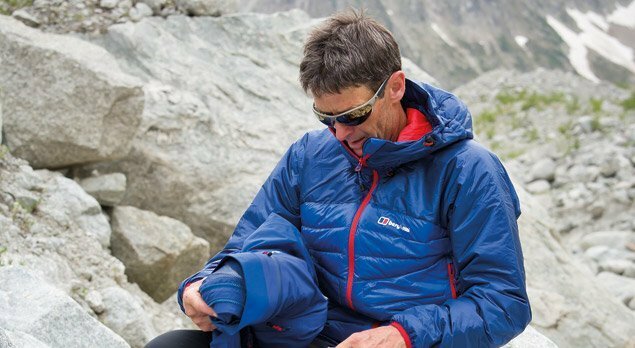 When shopping for down products, look at fill power to determine which jacket or sleeping bag to buy. Mediocre fill power is 500 to 750, high fill power is 750 to 900, and the highest quality products have 900+ fill power. In general, duck down can typically go as high as 800 fill power, while goose down can go to 900 or higher. There are a lot of synthetic options out there, which can turn shopping into a headache. The main thing you need to know when shopping for synthetic insulation is short-staple vs. continuous filament. Short-staple insulation uses short, densely-packed strands of fine-denier filaments (denieris a way of measuring the thickness of fiber). This is how short-staple insulation minimizes heat loss. Continuous-filament insulation is made of thicker continuous filaments that are more durable, loftier and stronger than short-staple insulation. Short-staple insulation will feel soft and malleable, similar to a down product. It’s also easier to compress than continuous-filament insulation. Continuous-filament insulation is stiffer and harder to compress. However, short-staple insulation isn’t as durable as continuous-filament insulation. You also may notice that short-staple insulation moves around, creating cold areas in your jacket of sleeping bag. Continuous-filament insulation doesn’t move and won’t create cold spots. In general, the type of down you have, goose or duck, won’t greatly impact the experience you get from your outdoor gear. The type of down you choose will affect the price, though, which for many people is the main difference and deciding factor. 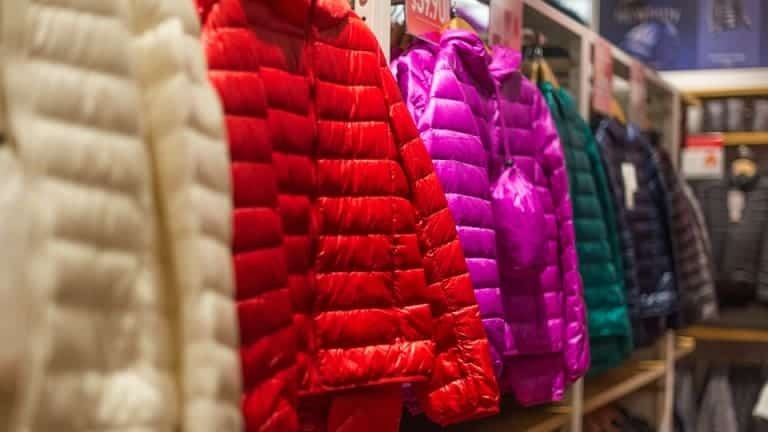 If you’re price shopping, you may find better costs with duck down (or synthetic down) as opposed to goose down. 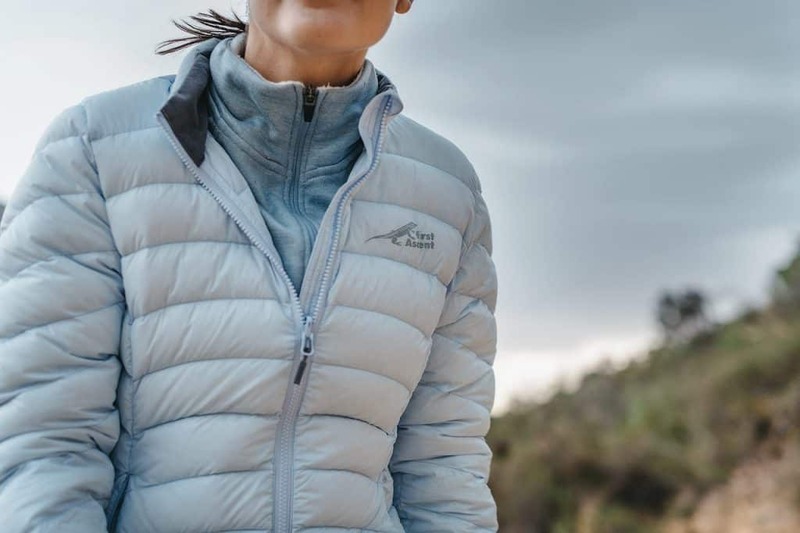 If you’re especially concerned with warmth and weight, you may do better with goose down, especially if you’re interested in top-of-the-line products. If you know you’re going to be outdoors in wet weather or if you’re going to be submerging your gear in water, you’ll want to go for either synthetic or down-synthetic hybrid insulation. To choose the best insulation for you, get a clear idea on where you’ll be and what the weather conditions are, and what the most important features are of the gear you choose.